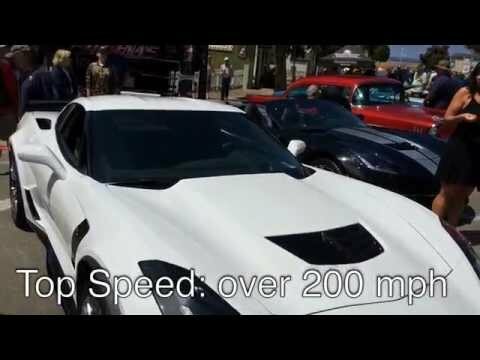 If you own a newer Chevrolet Corvette, Camaro or some other V8 powered GM models equipped with a manual transmission then you have probably noticed that annoying skip shift “feature” (the official name is Computer Aided Gear Selection a.k.a. CAGS). For those unfamiliar with the feature, it causes the car to force you to shift from first gear all the way to fourth gear by locking you out of second and third gear. By having drivers skip gears when the engine isn’t pushed, it helps the vehicle get better fuel economy ratings by the EPA. But, hey you bought a car with a big V8 and you want to go through all the gears like God intended. So, just how do you deactivate the skip shift “feature”? Well, for as little as $7 you can do a hack that will make an environmentalist near you cringe. Last year Porsche began a mission to add to their record 16 victories at the 24 Hours of Le Mans. Standing in their way was Audi and this year they looked to get to the top of the mountain. The two VW Group owned brands also had to deal with Toyota and Nissan, but they would never truly challenge the German marquees. Of course a 24 hour endurance race takes a fast car as well as some luck. Going into the competition the Porsche 919 Hybrid was the favorite after qualifying in first, second and third. To find out more about what happened at the 24 Hours of Le Mans, including driver quotes, pictures and additional facts click past the jump (or scroll down if you came directly to the full article). The 2015 Corvette Z06 is quite a car. It is fast, has styling that turns heads and the build quality of the C7 Corvettes is an improvement over the C6 generation. The supercharged American sports car may be wearing a Z06 badge, but it betters the last generation’s legendary ZR1. So, if GM makes a C7 ZR1, it will have to be just an insanely fast beast of a machine. Click past the jump (or scroll down if you came directly to the full article) to see more details about the C7 Z06. The new C7 Corvette is a very fast car, especially once the Z06 comes out. With us all focused on the latest model, sometimes it is good to take a look at how we got to this point. This video captures a C6 Corvette that was parked outside of our office. The red car is in very good condition and its owner always keeps his ride looking good. The Corvette is an affordable high horsepower sports car. With the C7s coming out, the C6 has become a bargain for the amount of power to the cost. You can find them for under $35,000 in very good condition very easily and if you look hard we’ve seen a few well maintained examples in the $25,000 range. Of course the interiors on these cars leave much to be desired, but for the price it is hard to compete with that powerful V8. The new Corvette is the best yet, but the last generation was no slouch, at least in the pure performance department.